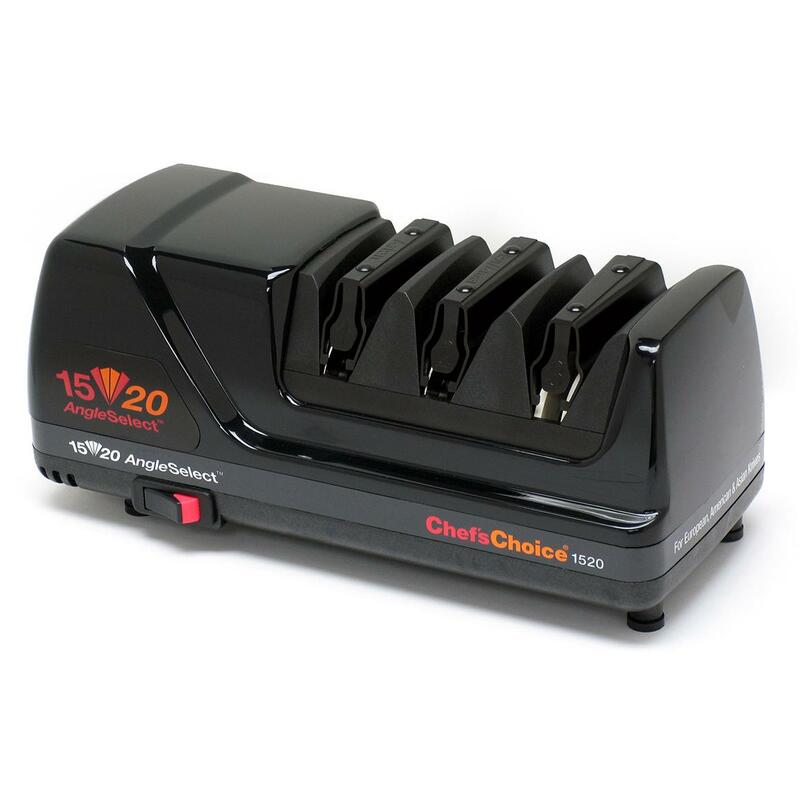 Chef's Choice® M1520 AngleSelect® Diamond Hone® Knife Sharpener is built to sharpen just about any blade you can find! The M1520 from Chef's Choice® is a model of versatility. Designed to sharpen Asian, European and American style knives, you can restore and recreate both a 15 degree angle on your Asian style knives and a 20 degree angle on your European and American style cutlery. Engineered to provide astonishingly sharp edges using highly precise knife guides that automatically position the knife, it is an easy to use, must have sharpening system. The multi-stage Model 1520 features 100% diamond abrasives and patented flexible stropping / polishing discs that create a "gothic arch" edge structure recognized for incredible sharpness and durability. It will quickly and easily sharpen virtually all quality cutlery including American, European or Asian style household knives; fine edge or serrated blades; Santuko and traditional Japanese style single bevel edges, including the thicker Deba style blades; sports knives and pocket knives. Three year limited warranty. UL or ETL and Canadian Approval. Engineered and assembled in the U.S.A. Handles any blade and restores razor-sharpness... order ONLINE now!